Welcome all, to the July 2016 edition of Sinister Reads. Holy crap balls, Batman! You are in for such a treat this week. The most amazing Greg Chapman has been busy with the release of his debut novel, Hollow House (check out the super creepy trailer) AND… drum roll please, Mr Chapman has also given us gore gathers our own bag of bits and blood to colour in with morbid magic! That’s right people, it’s an adult colouring book for horror lovers! Also, a massive congratulations for Rue Karney on her WIN – check out her latest Sinister Slice too! Enjoy your July Sinister Reads. Don’t colour-in to relax, colour-in to give yourself the shivers and stay awake! 24 pages of horrible colouring fun! Vampires! Werewolves! Zombies! And more! Grab your red crayons and stay inside the lines! “The most fun you can have with colouring pencils without stabbing someone with them.” – Aaron Sterns, Co-writer Wolf Creek 2, author Wolf Creek: Origin. Closet artist. “Absolutely BRILLIANT! I love it. Beyond being a cool coloring book, it’s a wonderfully witty tribute to the whole genre. 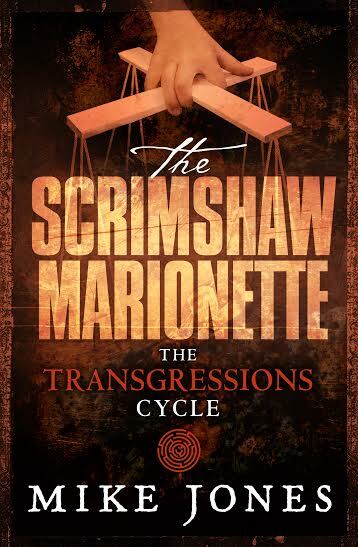 Bravo!” – Lisa Morton, six-time Bram Stoker Award-winning author and screenwriter. For more on Greg’s publications, check out the listing above for The Horrible Colouring Book. 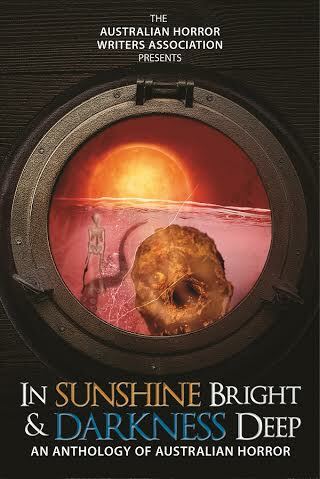 So many reads this month… and here is an exciting one to start us off – In Sunshine Bright and Darkness Deep: An Anthology of Australian Horror. 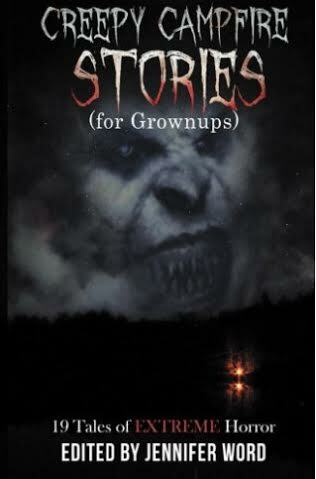 This is a must have for any horror fan with a selection of tales from our very own AHWA members. Congratulations to all! Get it at the special introductory price before Halloween (check it out below). 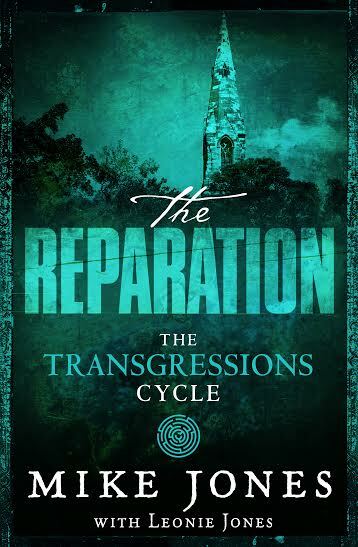 While you are at it, get your teeth into Mike Jones’ The Transgressions Cycle, never sleep again after reading Sleep With One Eye Open: Ghost by Beau Johnston, and snack on the morsels of Carole Nomarhas’ The Fading. Enjoy! In Sunshine Bright and Darkness Deep is an anthology like no other. 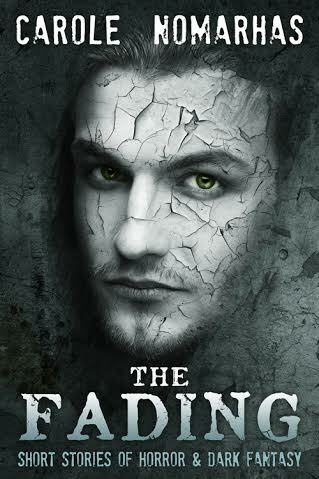 The tales herein will take you on a weird and terrifying journey. You will set out on a road trip and find yourself trapped in the arid Australian outback where a little girl and her grandfather struggle to survive. There are isolated farmhouses threatened by bushfires and bullets, and rainforests teeming with bloodthirsty bugs. The cities are full of trouble too. The murky waters of the Brisbane River hide spiteful spirits and the suburbs are infested with insane inhabitants masquerading as ordinary human beings. Then, you will leave Australia, departing from Melbourne, to hunt down vampiric gangsters in Southeast Asia, before sailing future seas and visiting realms. 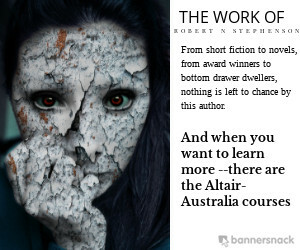 This inaugural showcase anthology features the work of just a handful of the many talented and darkly imaginative authors who make up the Australian Horror Writers’ Association. 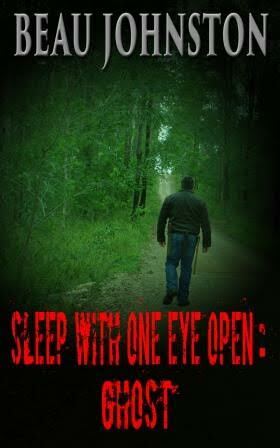 If you are unfamiliar with Australian horror, let this book be just the first step on a long voyage of discovery. In Sunshine Bright and Darkness Deep is the debut showcase anthology from the Australian Horror Writers’ Association and features fourteen terrifying tales from some of the country’s most talented writers of dark fiction. Currently available for pre-order HERE. but he found clues to their location. As he continued his journey to Gloucester, he quickly discovered it is impossible to outrun an enemy that doesn’t need sleep. He found his family in time to warn them of the horde of flesh-eating ghouls that would soon arrive on their doorstep. Under the cover of darkness they successfully escaped the ravenous pack of fiends that swarmed through the town. Carole Nomarhas delivers a unique blend of dread and intrigue in short stories that cross genres and lead the reader down paths that were once the familiar haunts of horror and fantasy readers alike. With a delicate brush she paints vivid worlds where serial killers dwell, and digs up past wrong-deeds with dire consequences. Each story is a delicately-woven tapestry of nightmare places and nightmare beings, ordinary folk in extraordinary situations. Congratulations to Mike Jones. 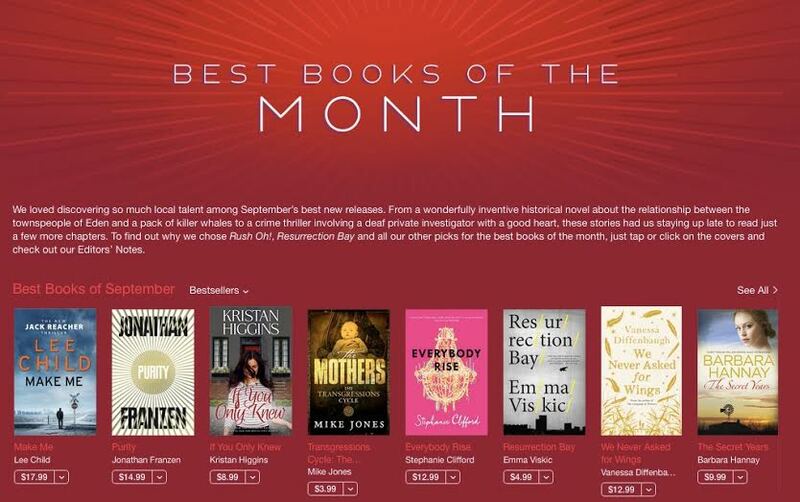 In the midst of the monthly releases of his The Transgressions Cycle (3 Book Series), the first book, ‘The Mothers’ has been named by iBooks as it’s Best of the Month! ‘The Mothers’ has been enjoying it’s time on the iBooks front page in the company of the likes of Lee Child and Jonathan Franzen.